About Plumas LAFCo . . . . The Plumas Local Agency Formation Commission was created by the Legislature in 1963 to discourage urban sprawl and encourage the orderly formation and development of local government agencies within Plumas county. 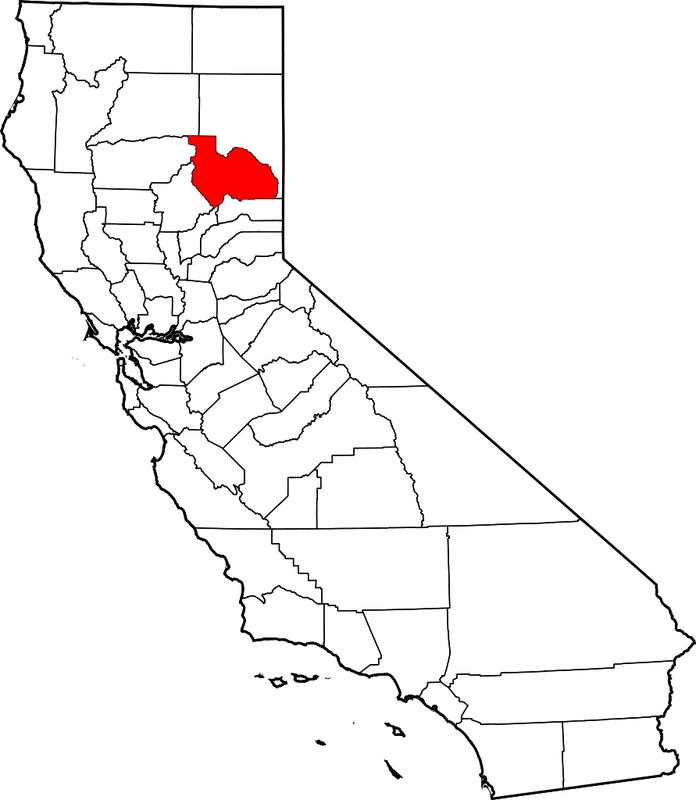 There is a LAFCo in each county in California. The Plumas LAFCo Commission is comprised of two members appointed from the Plumas County Board of Supervisors, two members appointed from the City Council of the city of Portola, and one member appointed from the public-at-large. There is an alternate from each of the seated categories of members. All commission members must exercise their independent judgment on behalf of the interests of residents, property owners, and the public as a whole. Any member appointed on behalf of local governments shall represent the interests of the public as a whole and not solely the interests of the appointing authority. The end of World War II saw California experiencing a tremendous population increase, which resulted in the sporadic formation of cities and special service districts. The results of this development boom became evident as more of California's agricultural land was converted to urban uses. Premature and unplanned development created an inefficient and expensive system of delivering public services using various small units of local government. In 1959, in recognition of this problem Governor Edmund G. Brown appointed the Commission on Metropolitan Area Problems. The Commission's charge was to study and make recommendations on the “misuse of land resources” and the growing complexity of overlapping, local governmental jurisdictions. The Commission's recommendations on local governmental reorganization were introduced in the Legislature, resulting in the creation of the Local Agency Formation Commission, or “LAFCO” in 1963, operating in each County except San Francisco, (which later formed in 2001). The Legislature approved the District Reorganization Act (DRA) in 1965. This Act combined separate laws governing special district boundaries into a single law. Another law, the Municipal Organization Act of 1977 (MORGA) consolidated various laws on city incorporation and annexation into one law. These three laws contained many parallel and duplicative provisions. However, similar procedures varied slightly from one law to another, and the procedures necessary for one type of boundary change were found in vastly different sections of the three laws. Although MORGA was the most current revision of city annexation statutes, many cities in the state were required to use DRA so that areas being annexed could be simultaneously detached from special districts. All three laws contained application and hearing procedures for LAFCOs, but there were inconsistencies among them. This made city and district boundary changes unnecessarily confusing and complicated for local agencies and LAFCOs, as well as for residents and property owners. The Cortese-Knox Local Government Reorganization Act of 1985 followed several years of cooperative effort between Assembly Member Dominic Cortese, former Chair of the Assembly Local Government Committee and the California Association of Local Agency Formation Commissions (CALAFCO). The Act, which became operative January 1, 1986, consolidated the three major laws used by California's local governments for boundary changes into single, unified law. Giving Responsibility to the Agency that Can Best Provide Government Services. (\A756001). LAFCOs review proposals for the formation of new local governmental agencies and changes of organization in existing agencies. In California there are 58 LAFCOs working with nearly 4,000 governmental agencies in 58 counties, over 500 cities and over 3,000 special districts. Agency boundaries are often unrelated to one another and sometimes overlap at random, often leading to higher service cost to the taxpayer and general confusion regarding service area boundaries. LAFCO decisions strive to balance the competing needs in California for affordable housing, economic opportunity, and conservation of natural resources. The primary objectives of LAFCOs are to encourage the orderly formation of local government agencies, to preserve agricultural and open space land, and to discourage urban sprawl. Plumas County LAFCO has jurisdiction over changes in local government organization occurring only within Plumas County. Proceedings for changes of organization of special districts or cities are subject to LAFCO review, pursuant to the Cortese/Knox/Hertzberg Local Government Reorganization Act of 2000 (Government Code Section 56000, et seq.). A reorganization involving two or more of the above-listed changes of organization. Citizens are welcomed and encouraged to attend regular LAFCO meetings and state their views during public hearings on proposals before the Commission. In addition, the meetings provide an excellent opportunity for citizens to familiarize themselves with the growth, development and inter-jurisdictional issues facing Plumas County.